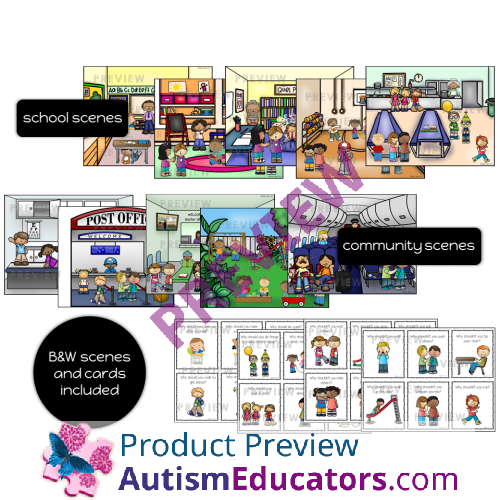 - 10 school and community scenes (color and black & white) with children exhibiting various behaviors. 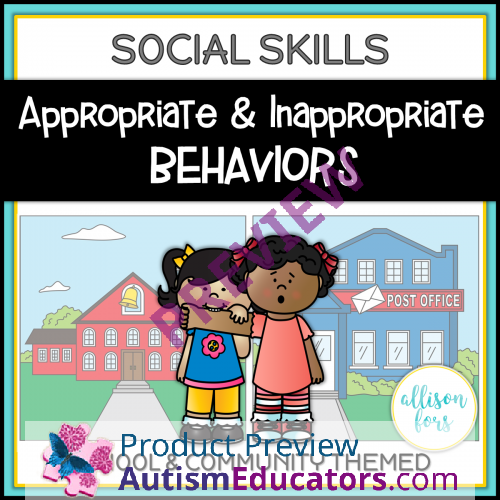 Use the scenes and cards to identify and discuss appropriate versus inappropriate behaviors – Why they are good and bad choices and how they affect others. - No Print: Open the color scenes on your computer or tablet. Directions included on how to draw on scenes with a touchscreen device. - Print, laminate and circle the appropriate behaviors and cross out the inappropriate behaviors with dry erase markers. - Print and use play dough, bingo chips & wand, or any other motivator to cover the appropriate and inappropriate behaviors. Given picture and/or written scenarios describing appropriate and inappropriate behavior out in public (ex. 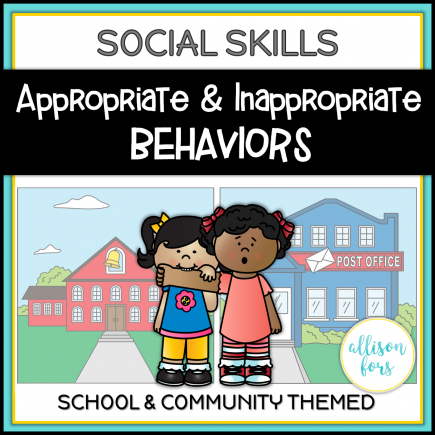 school/park/airplane), STUDENT will select the inappropriate behaviors by describing what is occurring in the picture and what the person can do to make a good choice, in 4 out of 5 scenarios, as measured by the number of appropriate responses, by MONTH, YEAR.